* Please refer to Memory Support List on ASRock's website for more information. Two of the world’s fastest PCIe Gen3 x4 Ultra M.2 slots that deliver up to 32Gb/s transfer speed, it also suppor ts SATA 3 6Gb/s M.2 modules. Bet ter performance, lowered CPU utilization and enhanced stability. 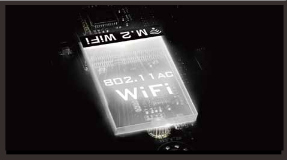 POOL (Planes On Outer Layers) technology allows 4-layer boards to utilize stripline routing instead of micro-strip routing, making motherboard having bet ter electrical properties and performance. 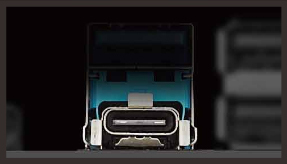 Supports Intel ® Optane™ memory technology and Intel ® Optane™ storage technology that redenes a new standard of high performance and responsiveness. * The size of maximum shared memory may vary from different operating systems. * If PCIE5 slot or PCI slot is occupied, PCIE4 slot will run at x2 mode. * To install Windows 7 OS, a modified installation disk with xHCI drivers packed into the ISO file is required. Please check our User Manual for more detailed instructions. * For the updated Windows 10 driver, please visit ASRock's website for details. Pros: Had everything I needed. Worked as expected. Cons: Purchased Dec 2017 Died March 2019. First motherboard that died before I upgrade. Other Thoughts: all these boards are the same I so I keep having to either throw them out after a yr or two or sell them. the thing is I need a board with internal USB pins do not break like it's cheap wires do the opposite or these board are worthless. pins on other end because you can't warranty them always overtime I upgrade my hardware I take apart the case the wires slips out and the internal USB pins get bent easily. The USB headers pins are not very easily broken unless something dropped onto them. However, we will be more than happy to assist you. Please contact us at https://event.asrock.com/tsd.asp. We will assist you shortly. Pros: Ran great for about a month. Cons: Broke fairly quickly. Was out of warranty by the time I figured out it was the mother board. Not upset about that. Just annoyed at how quickly I had to replace it. Other Thoughts: Was installed professionally brand new along with processor and power supply. No over clocking. No reason I can think of for it to have broke. Pros: I can't really say anything about the board yet because I haven't received it yet. I just want to vent about something I just discovered (I should receive the board tomorrow). I will give a more detailed review once I have received the board and resolved the issue I just discovered. When I purchased the board last week I chose parts based on what I read in the specs and what I saw recommended based off of those specs by NewEgg. My problem is with the specs for the memory. 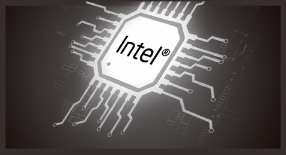 **7th Gen Intel CPU supports DDR4 up to 2400; 6th Gen Intel CPU supports DDR4 up to 2133. As I mentioned above, I am just ranting, I will have to either get a 7th Gen CPU or the 2133 memory, I'm leaning toward the CPU at this point. Cons: None yet, and I hope not at all. 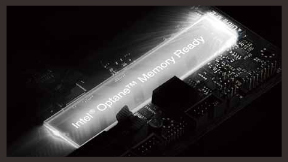 The memory speed is based on adopted CPU due to memory controller is built-in with CPU. The Intel 6th Gen CPU support 2133 by native and 7th Gen is 2400. However, the board still worked with faster memory but runs at 2133 or 2400 depends on adopted CPU by default. the (OC) indicates overclocking the memory beyond the 2133/2400 speed.. Please visit link below for reference memory QVL list for this mainboard. Pros: Not too many from the given title. Cons: First motherboard showed up bent, and would hang with the green lines when posting. I did this with simply a CPU and RAM using onboard video. I RMA'ed the board, and received a replacement which was also bent. Same thing as above. Other Thoughts: The one thing they could improve is their QA/QC process. How is it possible to receive two bent boards. I have started to request a refund, but really ASRock, I can understand getting one bent board, but two? That's unacceptable. For the display issue, Please try following. Unplug the power, clear the CMOS. Reseat and test with 1 x memory module, switching another memory if problem remain. Test with another known good monitor and cable to verify. Pros: ASRock is a great brand. They give you alot of bang for your buck. In my case, I do not need any crazy busing power for gaming. This board has everything I need. It is a rock solid board. The BIOS interface isn't too bad. Support on their site is ok.
Other Thoughts: Excellent quality Motherboard. I have bought countless boards for builds. 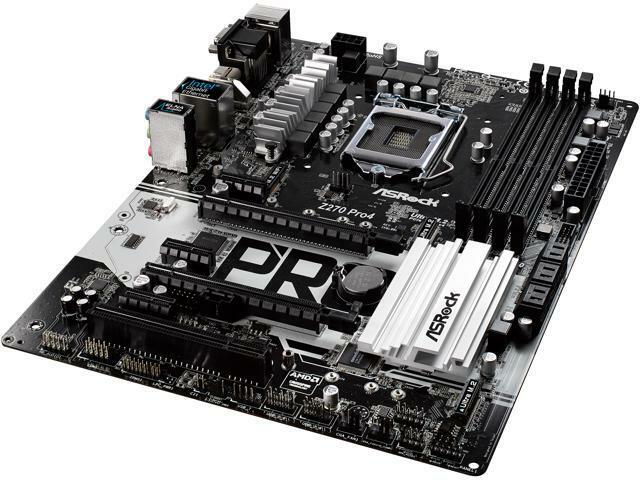 ASRock makes great boards. Cons: It wouldn't boot up Windows 10 with a old data hard drive with corrupted file. I had to enable SATA Hotplug on that sata port, and then plug in that hard drive when Windows is already booted and repair that disk. Not sure this is an anomaly, but that shouldn't prevent Windows from booting. Other Thoughts: Also, the rebate terms are really really unfair to the consumer. "Rebate Request MUST BE RECEIVED online and the mail MUST BE POSTMARKED* within 10 calendar days from the order INVOICED date. Allow up to 14 weeks to process your rebate." It takes Newegg 1 week to ship out the order, and Asrock wants us to POSTMARK the rebate form within 10 calendar days? And we have to allow 14 weeks for them to process the rebate? How unfair is that? Standard MIR from other manufacturers are 30 days from invoice. Dinged an egg from this. Pros: Easy to install, lights powered up as soon as power was applied. Works well with my i3 7100 Kaby Lake. Cons: On board GPU failed shortly after startup. Would lock up on boot screen with no action when hitting F keys to go to BIOS screen. Called ASRock support, which were very helpful, and they identified a bad SATA port so will RMA. Other Thoughts: Once I identified the bad GPU I installed a 1050ti and it worked fine. It isn’t often I’ve received a DOA mb after building a few systems so I’m not surprised my time had finally come after reading several reviews about them. Sorry to hear the SATA port malfunctioned.